People say it takes a village to raise a child, it is true that the environment plays a big part in raising a child with positive values. However in the world we live in today, the said environment are becoming extinct. Children spend more and more time online and playing games. To raise a child with positive values that can contribute to society is becoming more and more challenging. The story of Luqman and his child in the Quran is filled with learning points for parents. However this talk aims to remind parents on Islam's guide on how to be that Luqman that is able to impart such wisdom to his child. 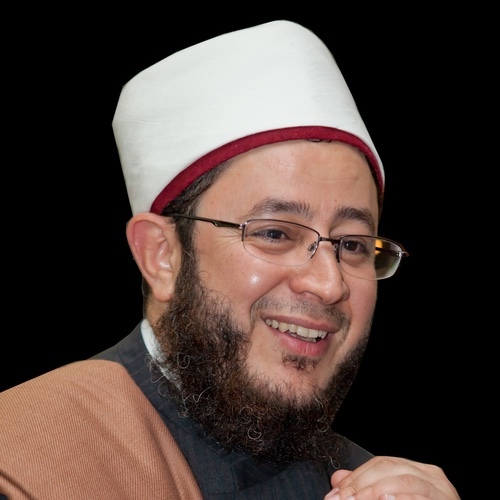 Shaykh Ahmad Muhammad Saad Ash-Shafi'ie Al-Azhari Al-Hasani was born into a family of scholars whose lineage goes back to the Prophet ﷺ. Shaykh Saad completed the memorisation of the Holy Qur'an at the age of ten at the hands of his father and studied basic Arabic and Islamic sciences with focus on Arabic grammar and balaghah (rhetoric) before enrolling into Al-Azhar system of schools where he spent almost 17 years of his life graduating with a B.A. Honours in Islamic Studies in English. He is the Founder and Director of the Ihsan Institute for Arabic & Islamic Studies, and was the former Imam of North London Central Mosque.